The conference will attract more than 4,000 industry professionals who will gather for four days of topical educational sessions, innovative industry insight and networking opportunities under the Disrupt & Deliver theme. As an inclusive and creative organisation, PCMA is helping our members leverage knowledge to enable their organisationalsuccess, said Sherrif Karamat, PCMAs president and CEO. We look forward to having industry professionals join us in Pittsburgh where together we can shape the future of the business events industry. Innovative and inspiring speakers. Joining Convening Leaders 2019 are Steve Pemberton, chief human resources officer of Globoforce, whose best-selling book A Chance in the World chronicles his foster care experience and ability to overcome adversity, and Nadya Okamoto, who as a high school student in 2014, co-founded the non-profit Period to provide feminine products to the homeless. A creative, cultural backdrop. Pittsburgh is a vibrant city where pop artist Andy Warhol was born and Mister Rogers Neighbourhood childrens television show got its start. The City of Bridges is home to renowned architect Frank Lloyd Wrights Fallingwater, a home the Smithsonian put on its must-see list of places. Pittsburgh is also home to the Pittsburgh Steelers, Pittsburgh Pirates and Pittsburgh Penguins. Its where youll learn to say yinz instead of you. A new test kitchen area. Convening Leaders 2019s Innovate and Elevate Arena will feature an interactive exhibit demonstrating the latest technology tools for the business events industry and provide opportunities to experience how brands engage with consumers. Programming. 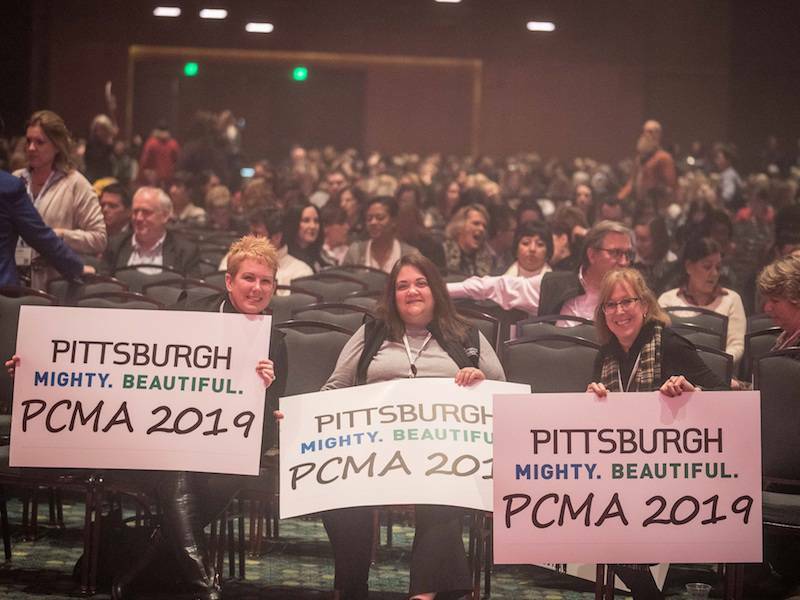 PCMAs premier programming is streamlined and customised for Convening Leaders 2019. Eight distinct programming tracks were created using input from key industry leaders. Register for Disrupt & Deliver Convening Leaders 2019 at conveningleaders.org.